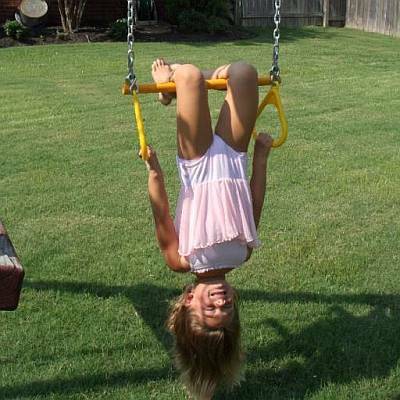 We have a variety of Swings for swing sets, playsets or playground equipment. 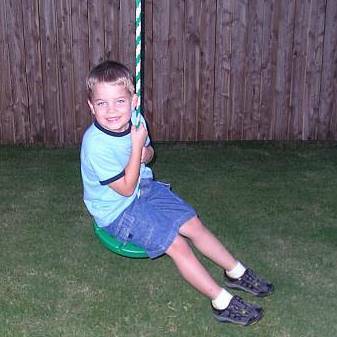 Replace worn out m Belt Swings, Half Bucket Swings, Full Bucket Swings, Back to Back Glider Swings, Buoy Ball Swings, Trapeze and Rings, and even the Swings for Children with Special needs can be found at BackyardCity.com. 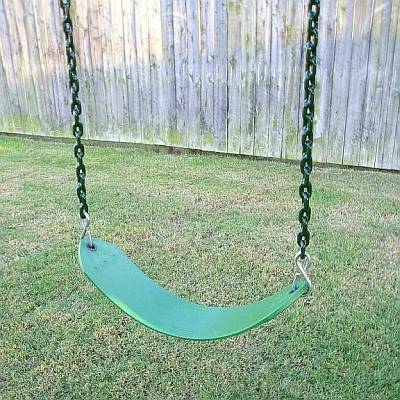 Replacement Swings for Playsets come in a variety of colors and most have Plastisol coated chains to keep small fingers from getting caught and pinched. 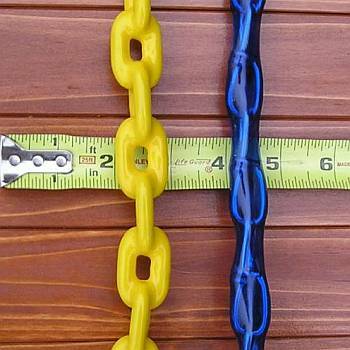 You can see the difference between Plastisol Coated Chains and regular plastic coated chains in the picture on the right. 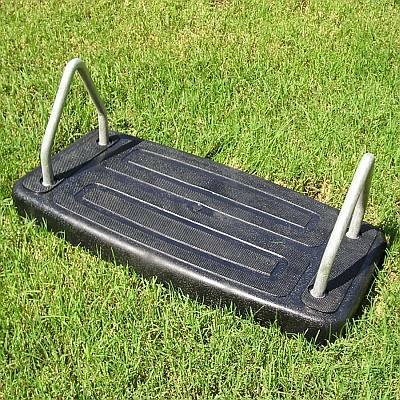 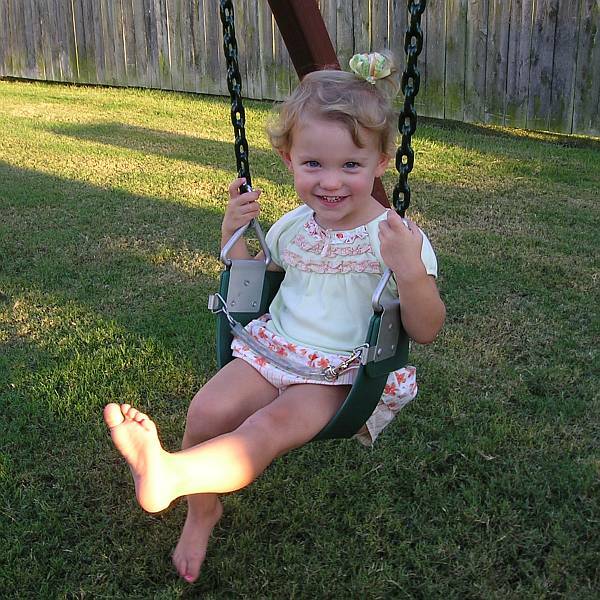 Spring clips are included for easy mounting of your swings to your swing beam or swing set structure. 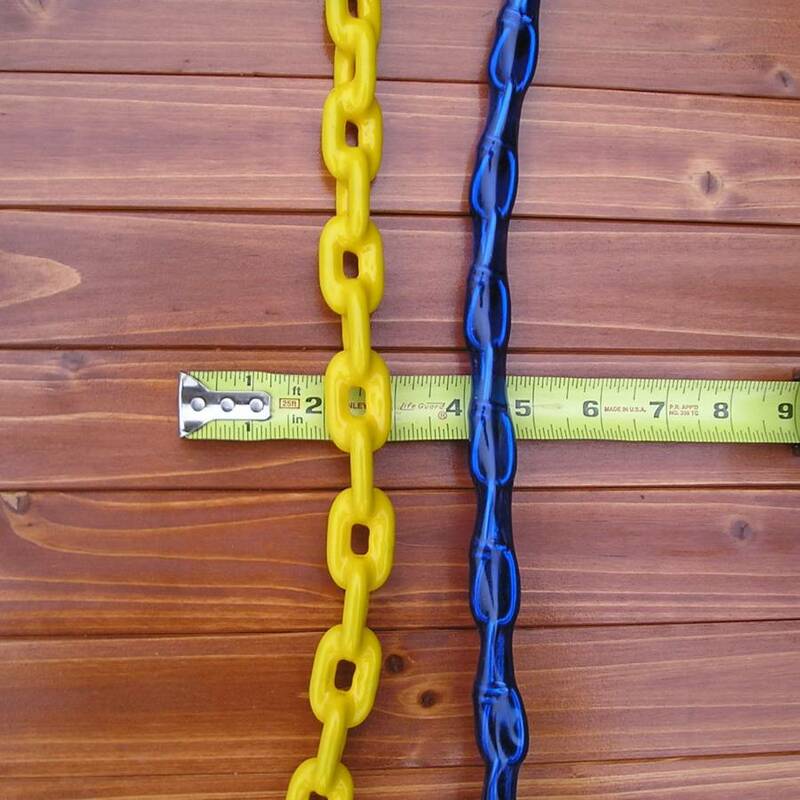 You can choose from several bright colors and mix or match the coating on the chains to the swing. 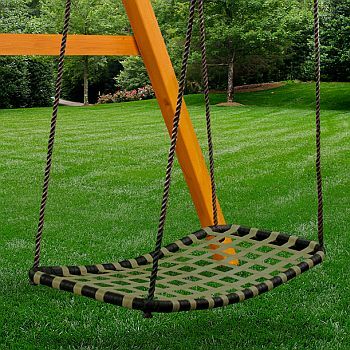 These swings will serve to brighten any backyard area and delight the kids! 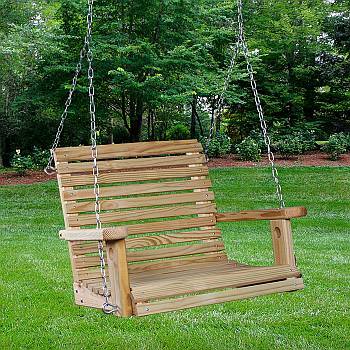 Each of our swing set swings or accessory pieces can be purchased as separate activity items or as complements to any basic wooden swing set or commercial playground playset. 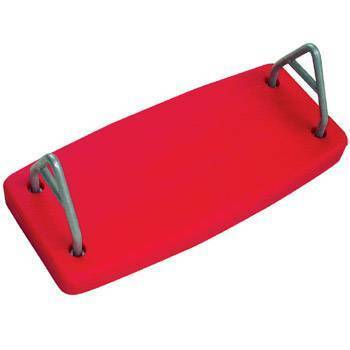 Choose any number of our action packed components to help your kids develop strength and coordination, and at the same time, encourage social interaction and cooperation. 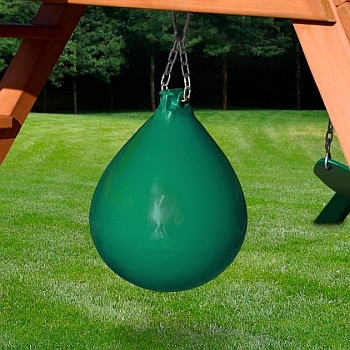 Our accessories are constructed of the same durable, high quality materials as our swingsets and fort kits. 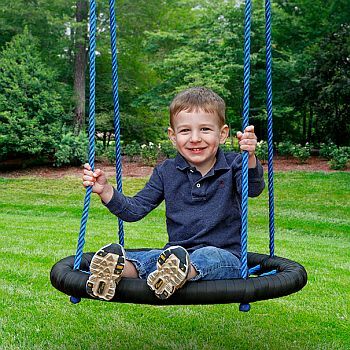 All of the materials used in these accessory swings have been selected for their strength and ability to withstand exposure to the weather and the heavy use they will experience when your kids and their friends use them. 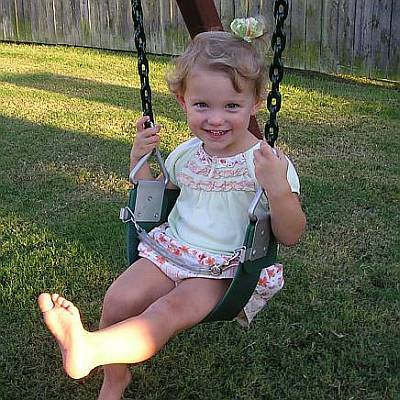 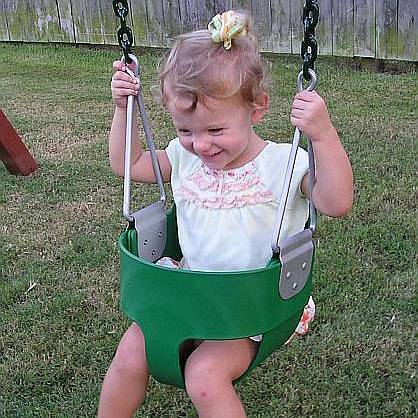 Swing events should be inspected regularly for childrens' safety. 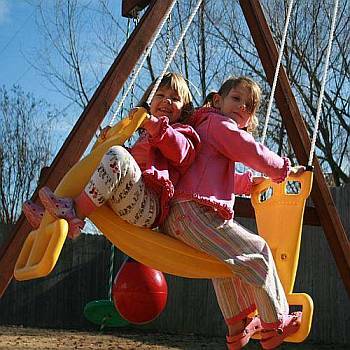 Outdoor elements like the sun and rain can deteriorate nearly any component of a playset swing. 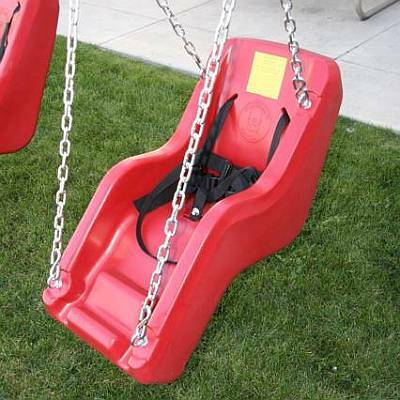 Swings on Playgrounds can be damaged by high use and/or vandals. 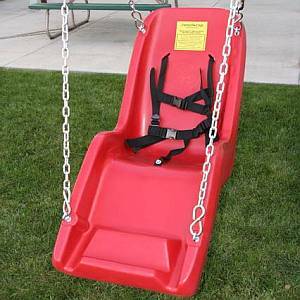 Keep your toddlers, little tikes and children safe.